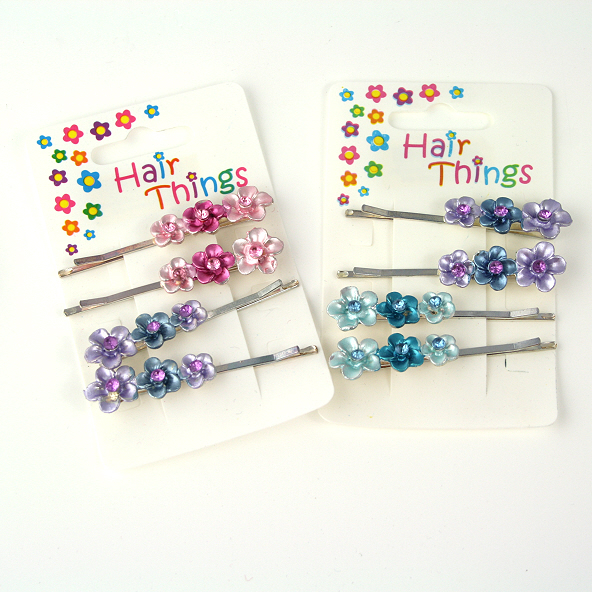 Hair grips with three flower heads on each, descending in size with coloured stones in the centre of each one. Four grips per card. Choose from two colour varieties, pink and mauve or purple and green. *These very pretty grips are a little heavier than the average hair accessory, therefore we would suggest that they would suit hair that has been styled up rather than free flowing hair. A small, neat horses head hair slide made from pewter in colours gold, silver and bronze.